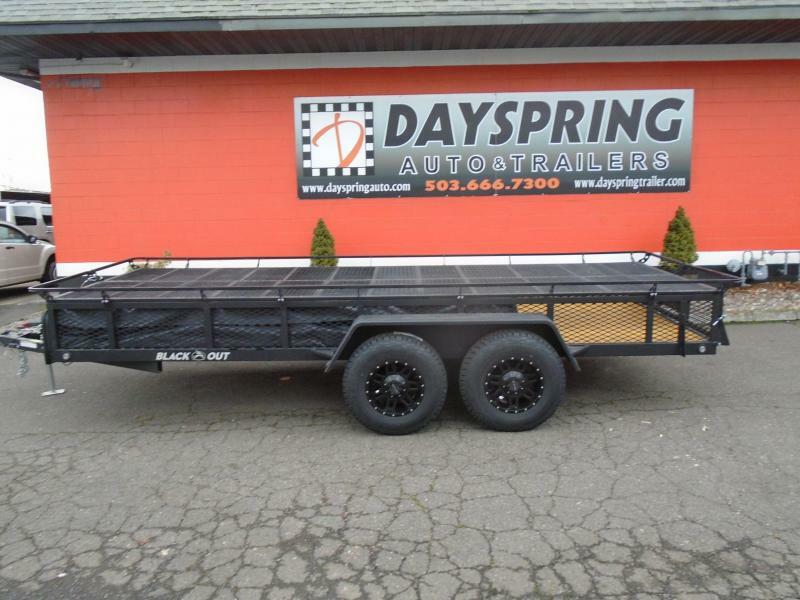 This a 3 in one trailer. 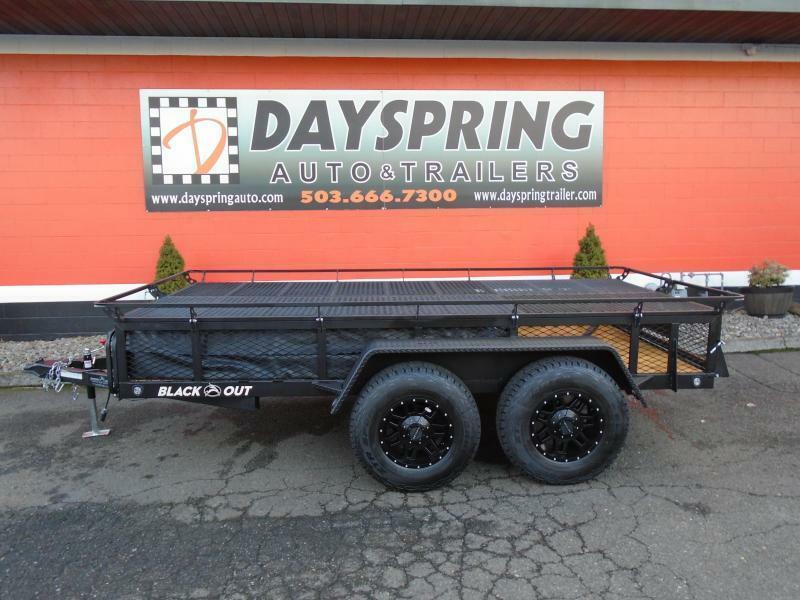 This one is a 17 foot long one sitting on tandem 3500# axles with brakes. 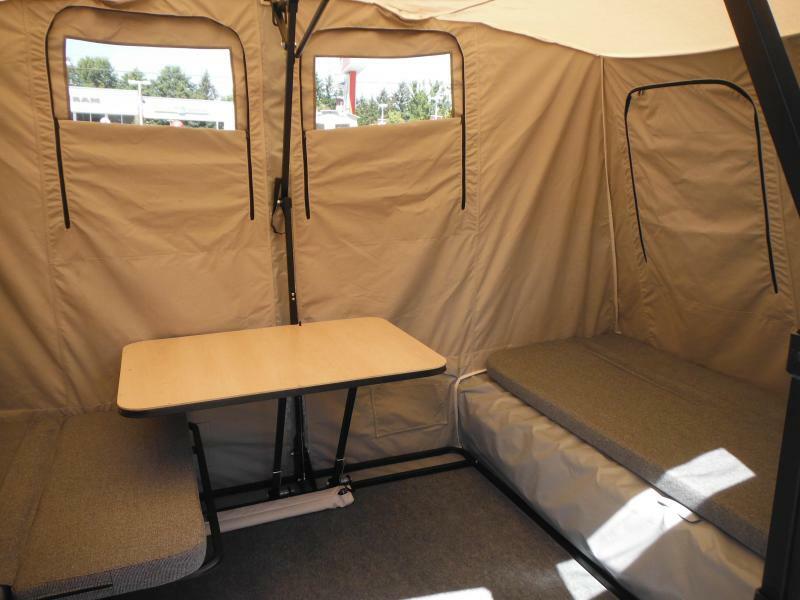 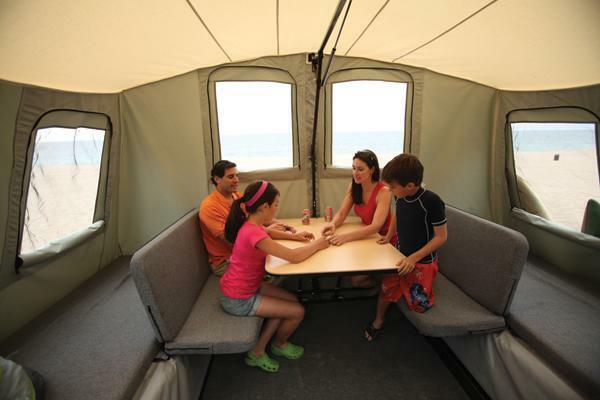 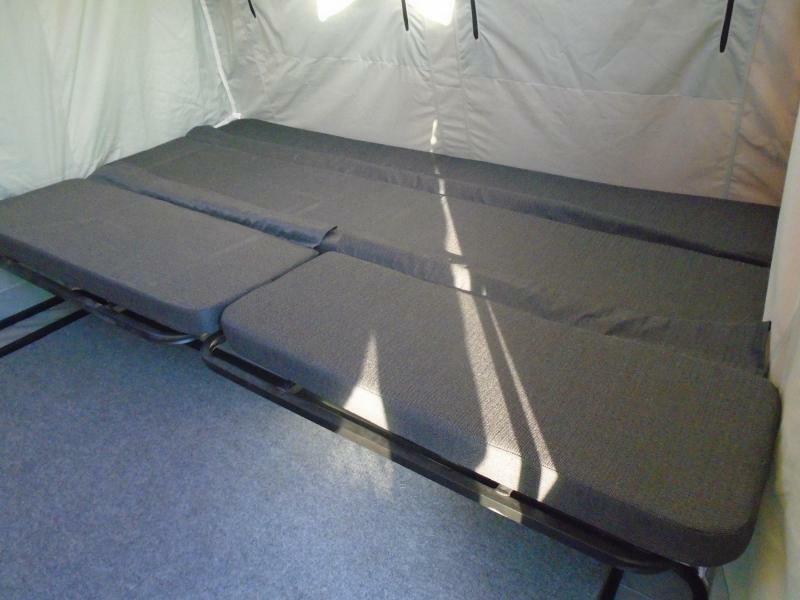 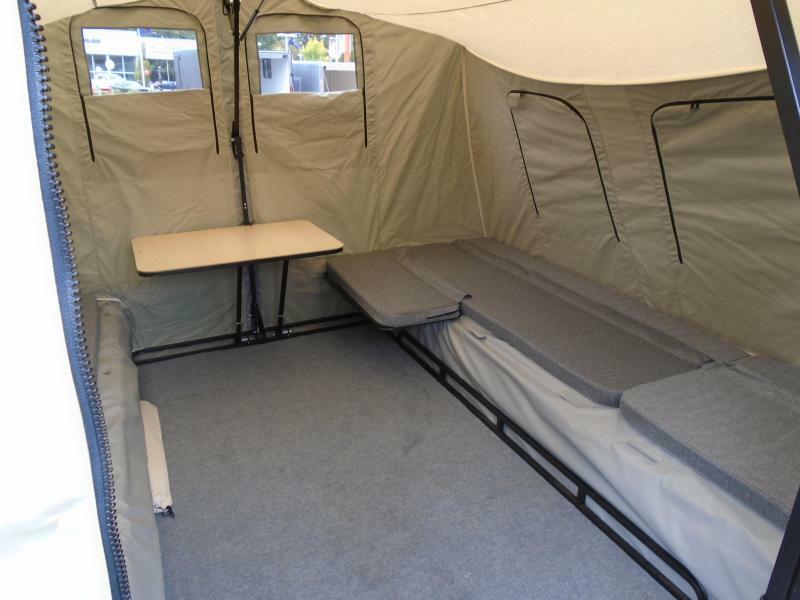 You can put your toy up on top and when you get there you take them off and set up your large roomy tent with a nice deck and it sets up in less then 5 minutes. 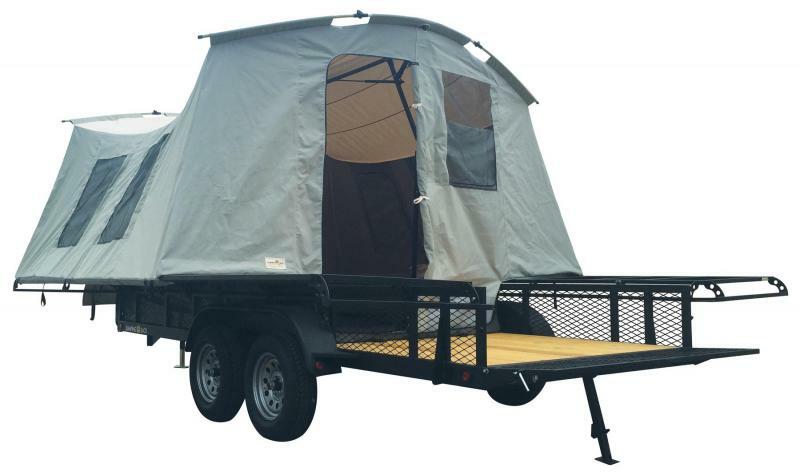 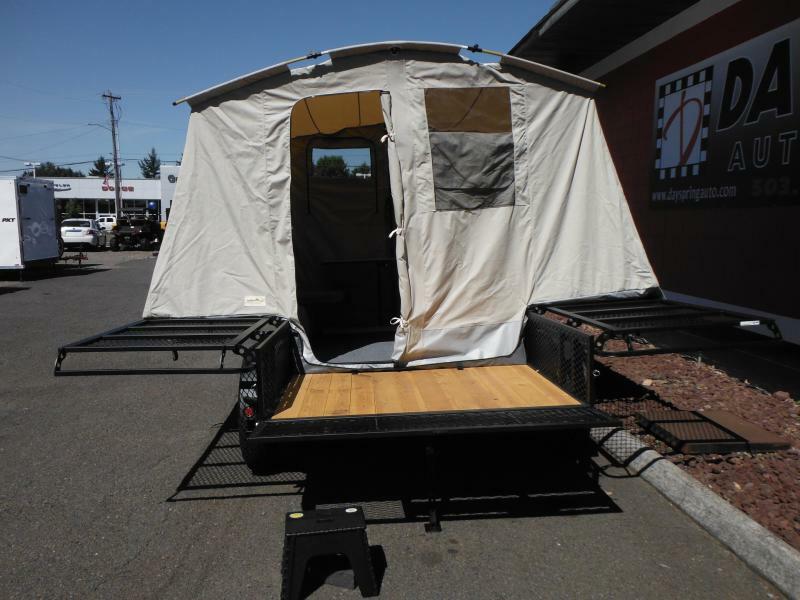 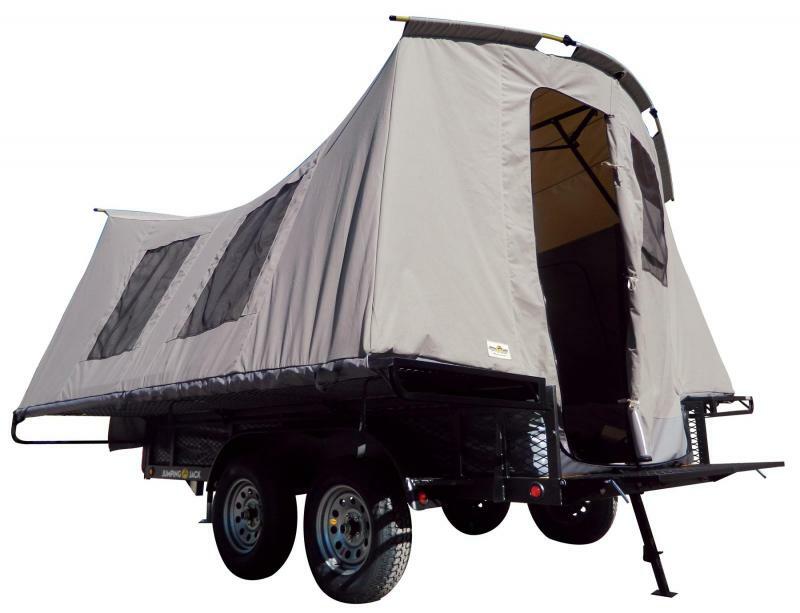 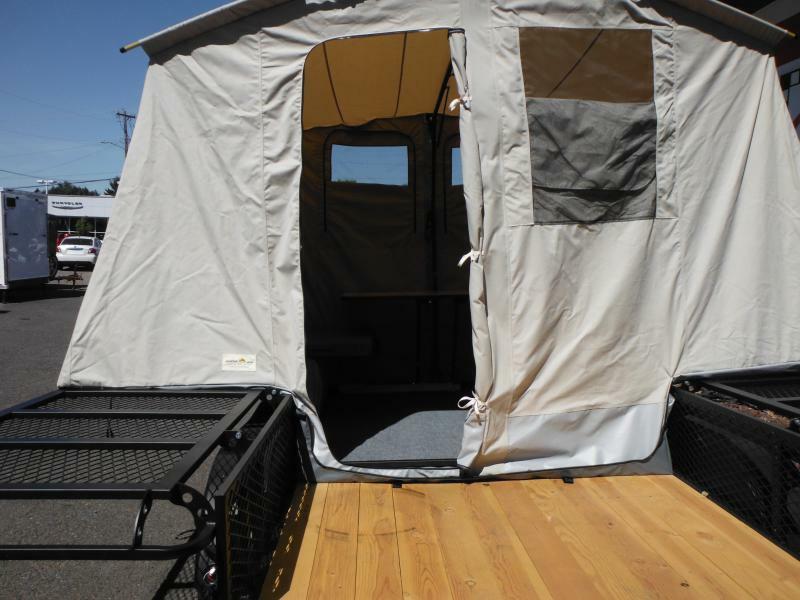 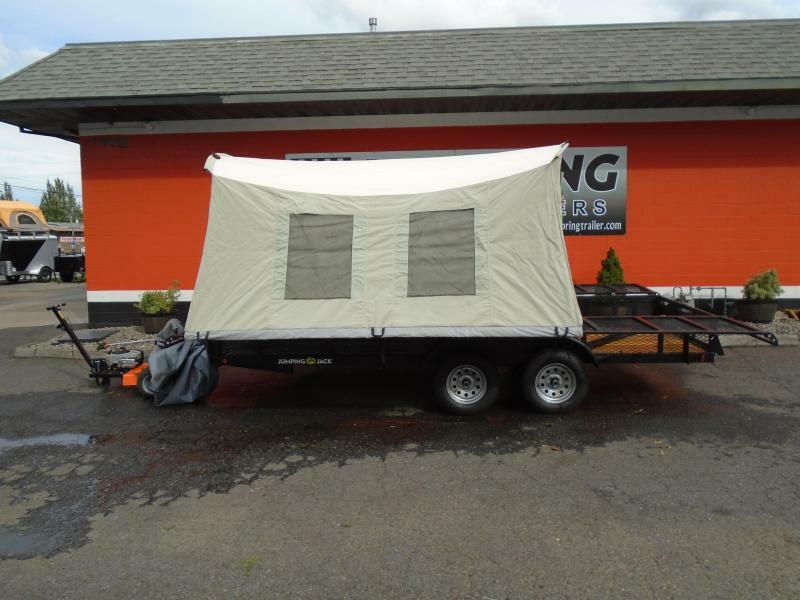 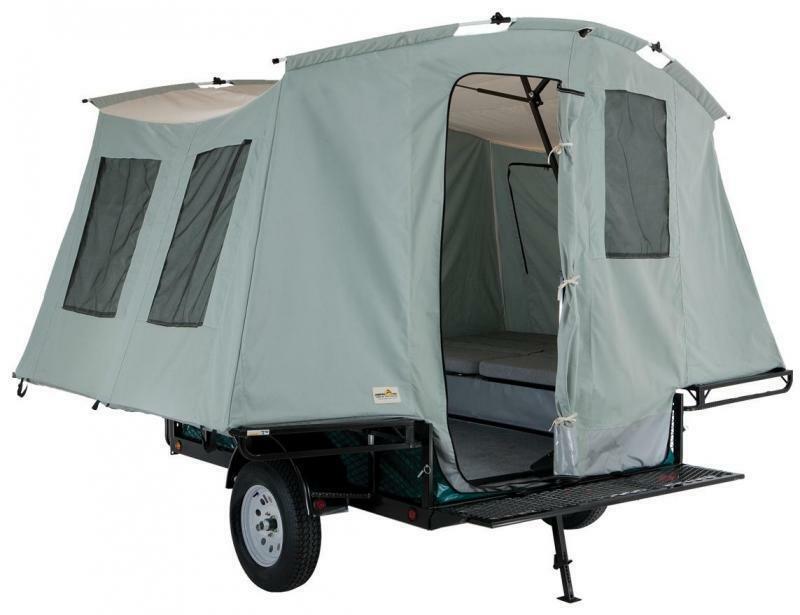 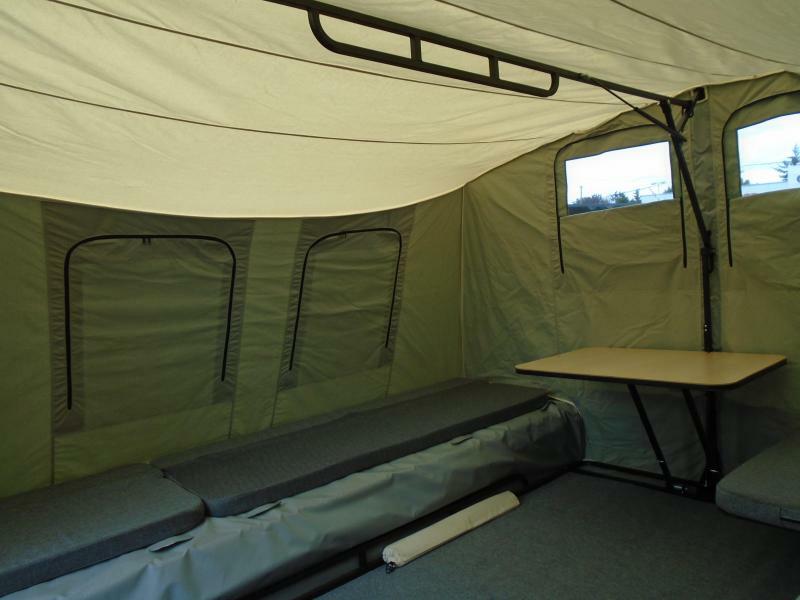 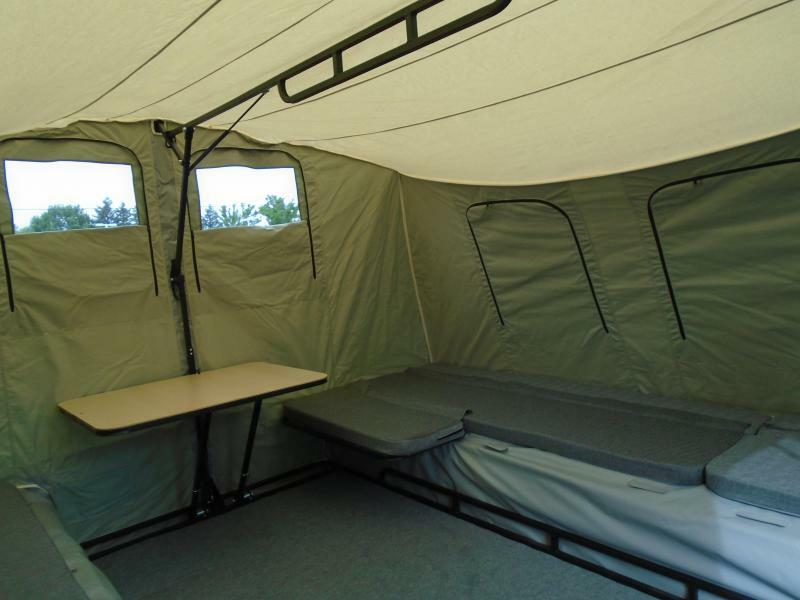 When you are not using as toy hauler/tent trailer you can slide the tent out and you got a cargo trailer. 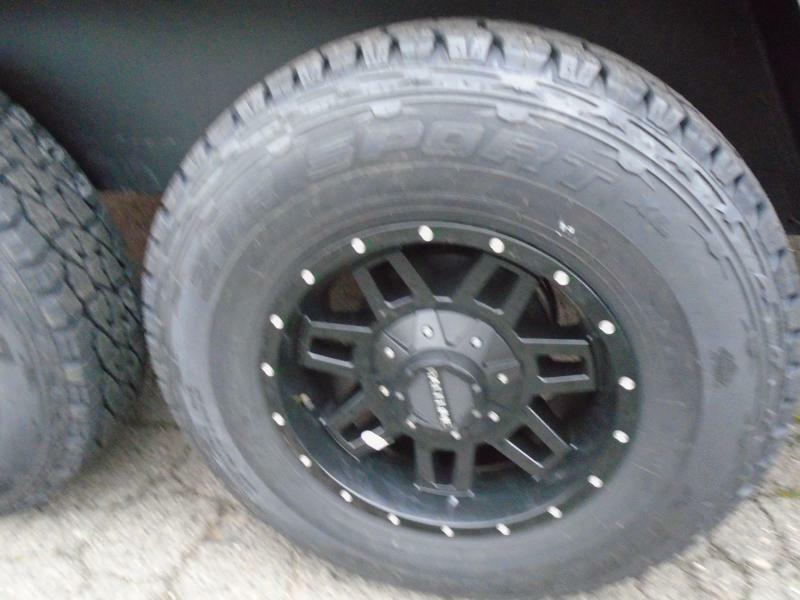 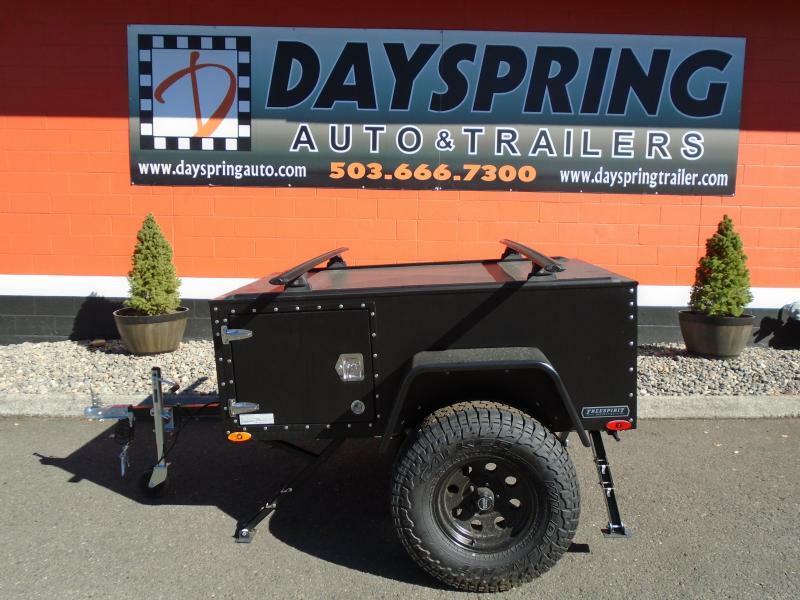 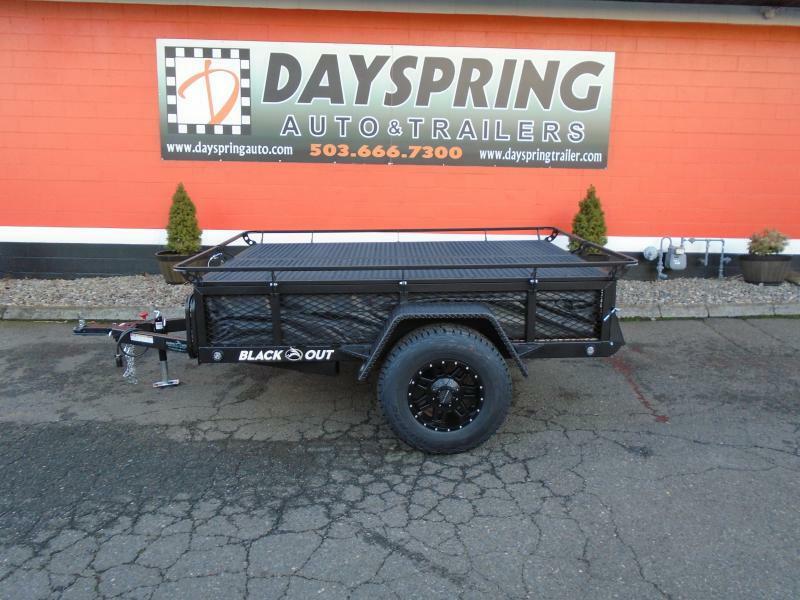 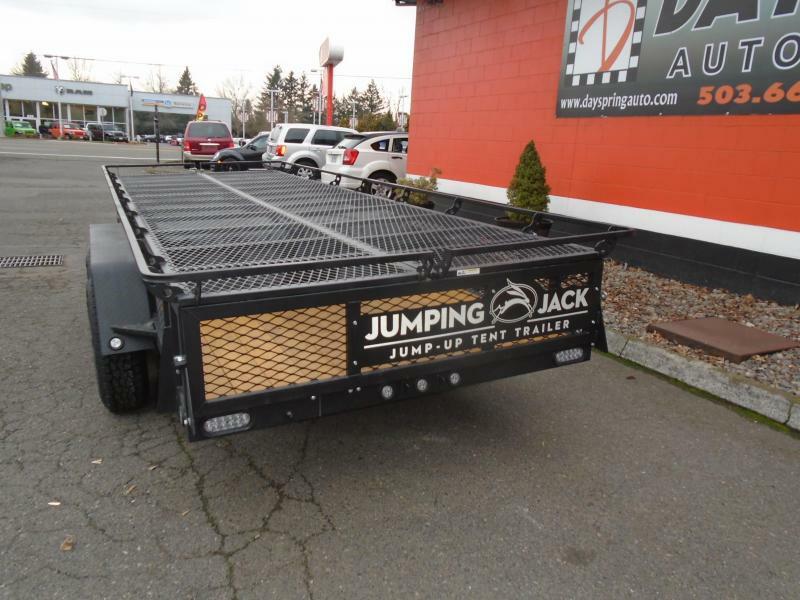 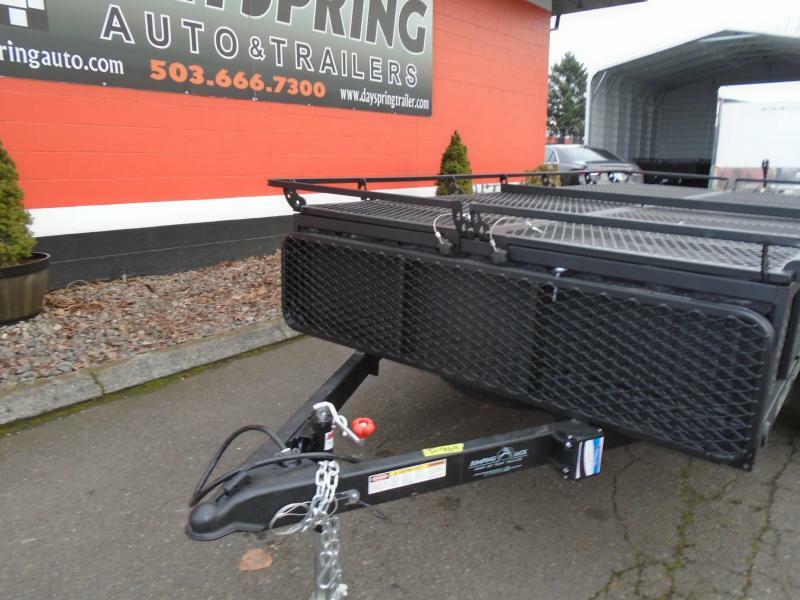 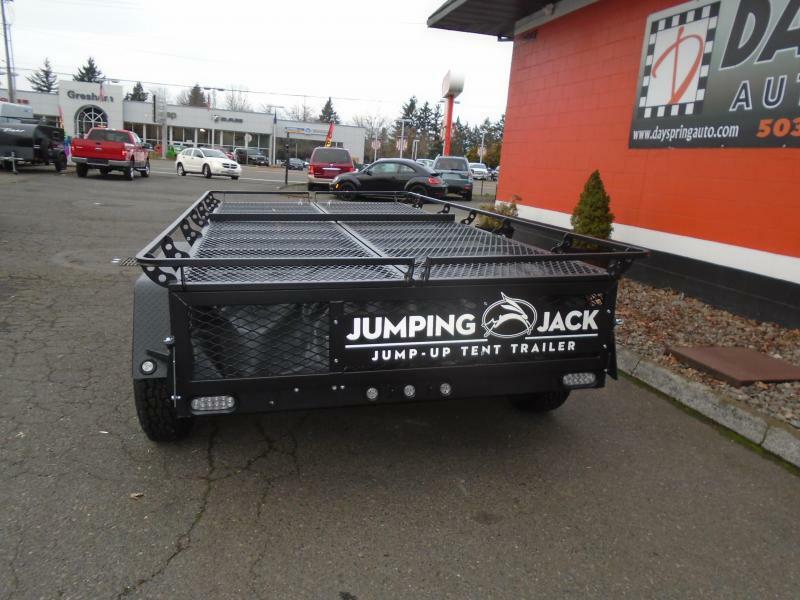 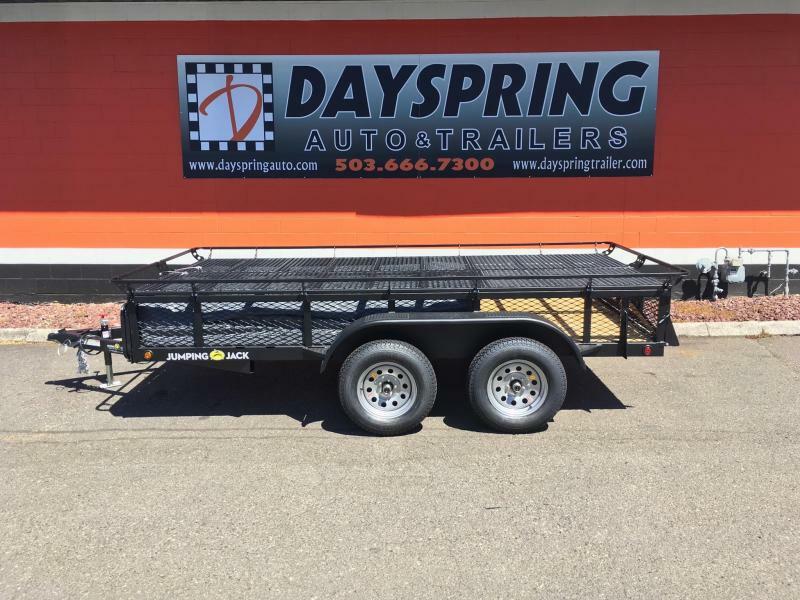 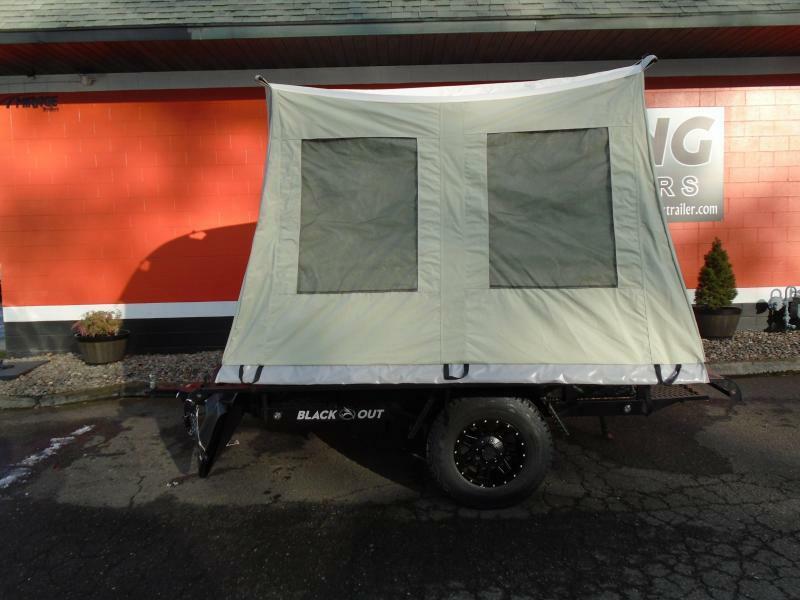 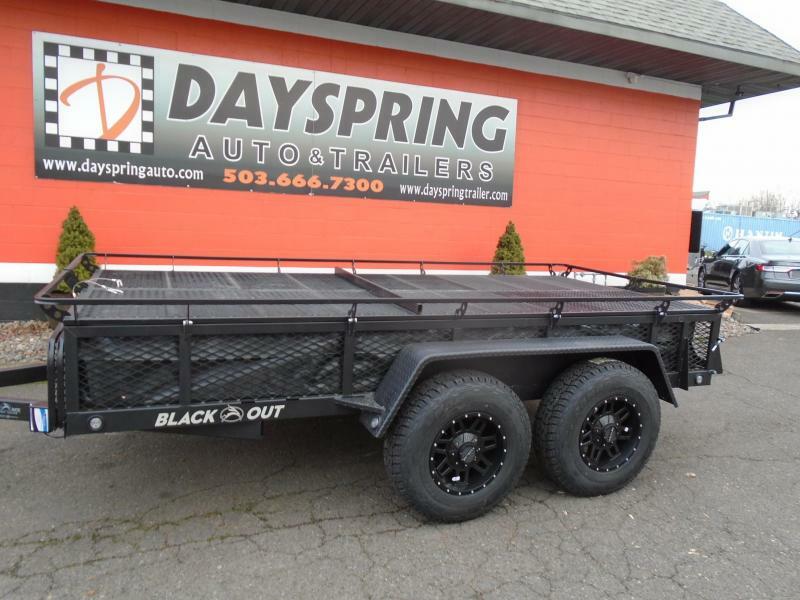 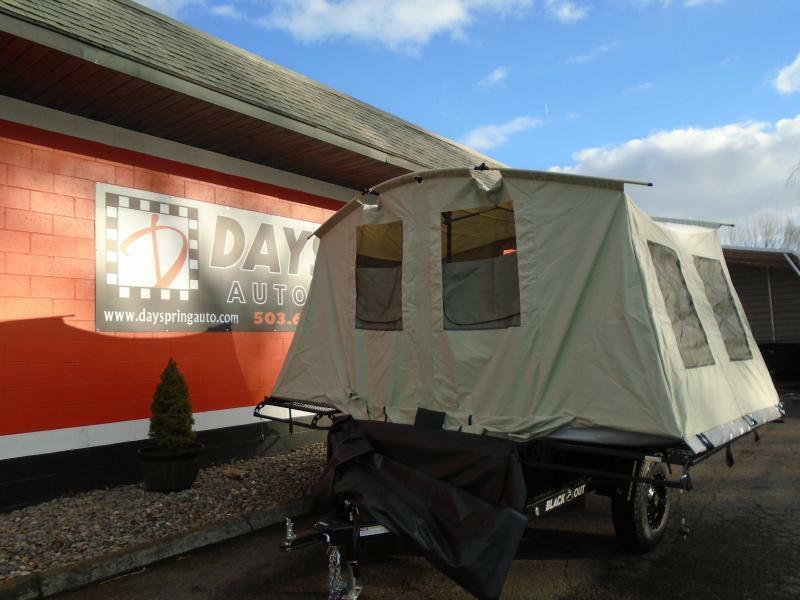 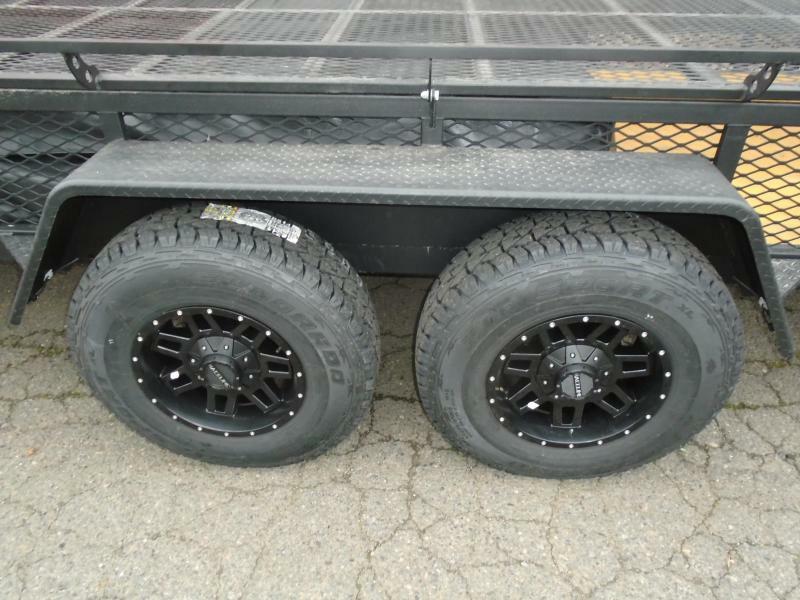 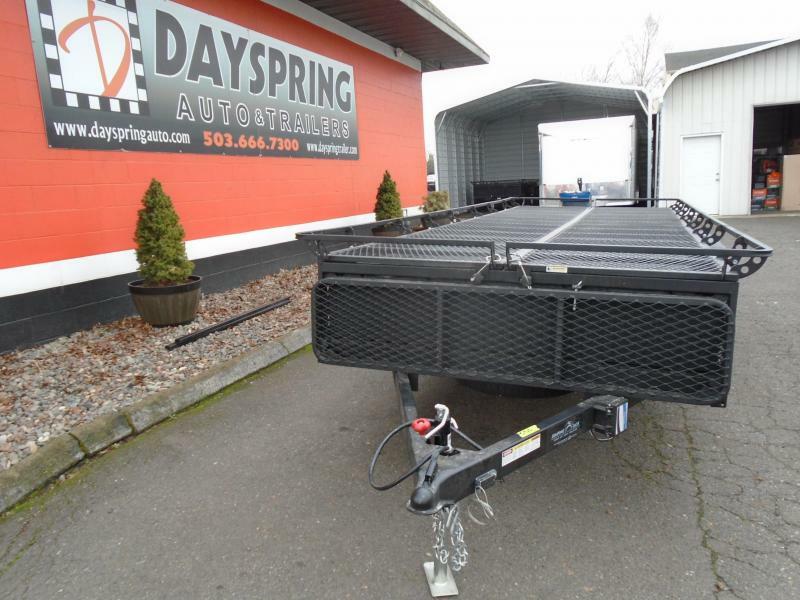 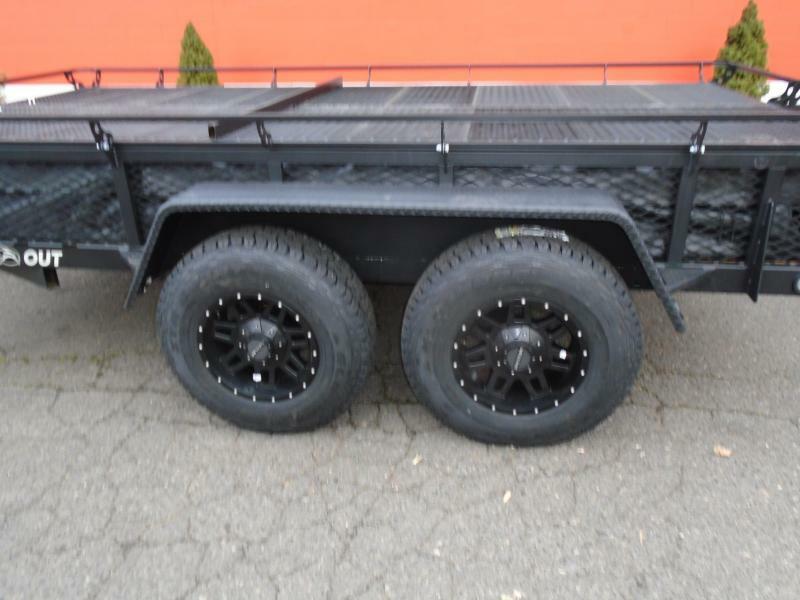 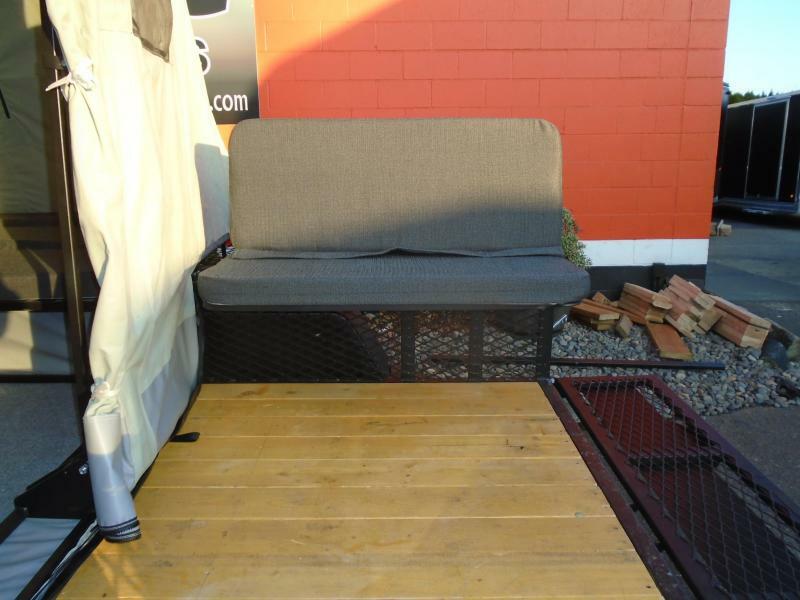 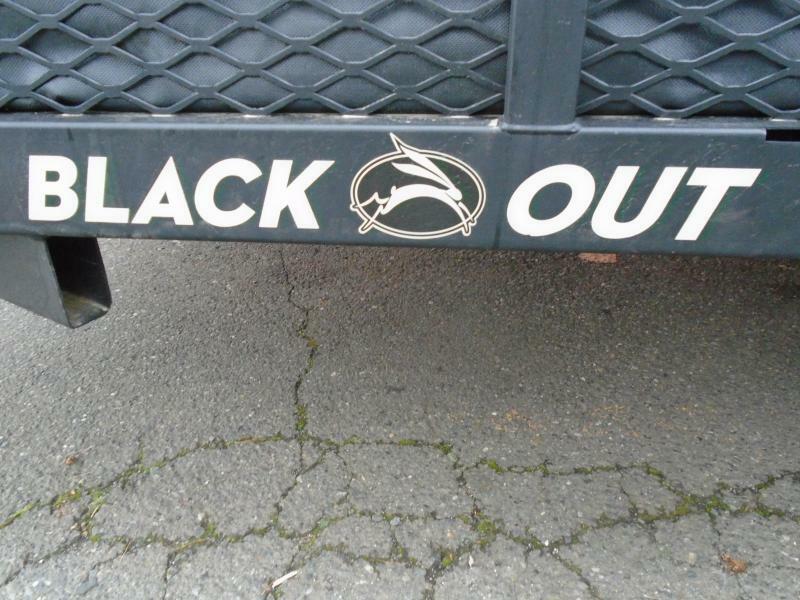 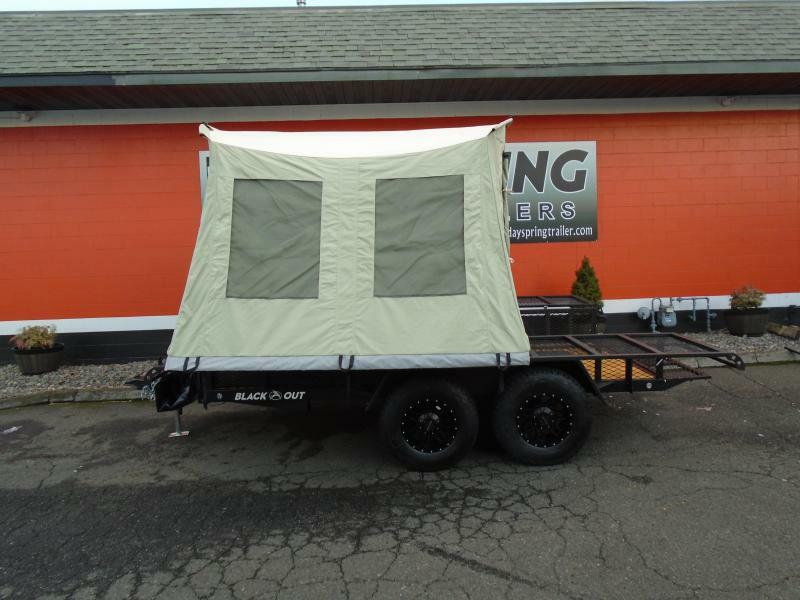 This one is the blackout model which gives you premium wheels with bigger tires and square fenders different led running lights and more This is a great multi purpose trailer come check it out.